How many phone calls does your marketing produce? How many phone calls does your PPC produce? How are other marketers--particularly agencies--using call tracking to make more money. If you're a local SEO firm, PPC agency, boutique agency, or an agency of any type--this White Paper is for you. 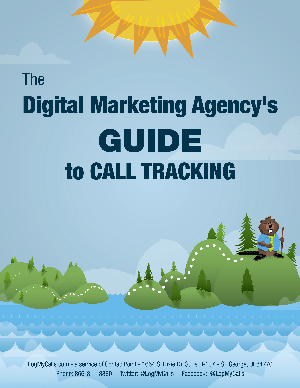 This guide describes, in detail, how agencies are implementing call tracking and why they're investing in call tracking. It contains pricing information, co-branding information and information about how call tracking can help you get more clients. Your clients are demanding data. Is your agency providing it for them?